Nicaragua enjoys the most abundant and diverse aquatic resource base of any nation in the region. Of particular importance is the fish biodiversity in freshwaters. There are dozens of species of fishes endemic to the region, many of them not yet discovered. FUNDECI/GAIA is coordinating field work in the discovery of several new species of freshwater fishes, and on the development of key information on the ecology, reproduction biology, and conservation of the fishes in Nicaragua. We collaborate with ichthyologists, biodiversity specialists, and conservation scientists throughout the world. Fish studies in Lake Apoyo. FUNDECI/GAIA supports the thesis research for students from UNAN-Managua. Here they are working together with Matthias Geiger, Ph.D. candidate from Ludwig Maximillian University in Munich, Germany, in the capture and processing of fishes from Lake Apoyo. The forest inside the crater in Laguna de Apoyo Nature Reserve contains dozens of reptile species. 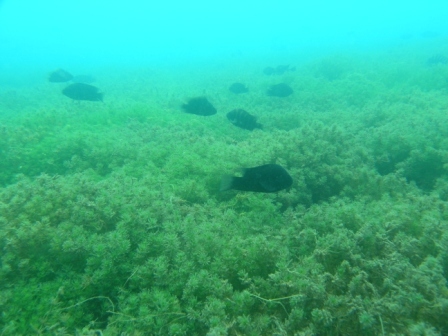 Mojarras (also called Midas cichlids) nesting over Chara subacuatic vegetation in Lake Apoyo. This vegetation, which serves as important habitat for fishes, molluscs and other invertebrates, disappeared from Laguna de Apoyo more than five years after an introduction of Nile tilapia in the lake. FUNDECI/GAIA continues to monitor the impacts of tilapia introduction on the lake. 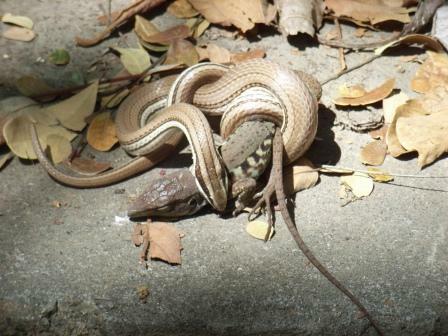 Field identification of a reptile. 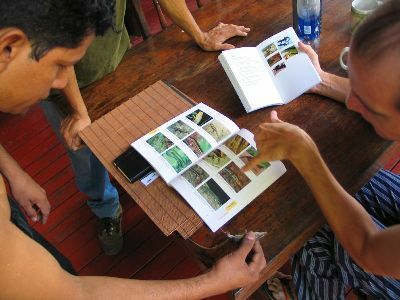 FUNDECI/GAIA conducts biodiversity studies on the land and in the water of Laguna de Apoyo Nature Reserve. 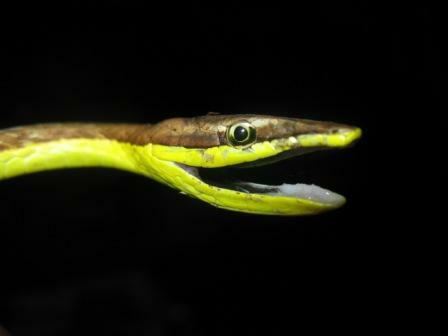 Many species of snakes are common in Laguna de Apoyo Nature Reserve. FUNDECI/GAIA sponsors numerous biology studies with conservation significance. 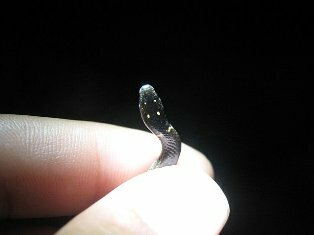 This tiny snake, Tantilla armillata, was the first of its species to be found in Laguna de Apoyo Nature Reserve.